Geodex Minerals Ltd. (TSX VENTURE:GXM)(FRANKFURT:G2W) (the "Company" or "Geodex") is pleased to describe the initial acquisition in conjunction with its strategy and plans for 2011. The Sisson tungsten-molybdenum project joint venture agreement with Northcliff Resources Ltd. of the Hunter Dickinson Inc. group in October 2010 was a watershed event for Geodex. The $13.7 million Sisson feasibility study and Environmental Impact Assessment ("EIA") are progressing well as previously reported (see March 29, 2011 press release). 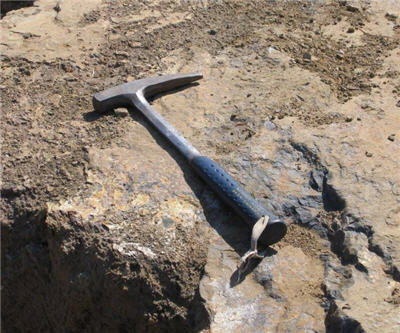 With the Sisson joint venture under a strong mine development group such as Hunter Dickinson, Geodex has been able to focus on other projects in its New Brunswick portfolio as well as to actively acquire additional projects that will complement its Sisson flagship project. The intent is to deliver another significant deposit to its shareholders. Geodex already owns the Mount Pleasant West tin-tungsten-indium-rare earth element project which covers a large 20km by 10km block around Adex Mining Inc's formerly producing Mount Pleasant Mine, for which a feasibility study is being planned. Geodex has undertaken an initiative to evaluate and generate other opportunities with a focus on central and southern New Brunswick. This initiative is continuing. The intent is to build upon Geodex's recognized expertise and successes over the past seven years in New Brunswick, Sisson and Mount Pleasant West being the best examples. Geodex has successfully applied exploration methods to explore the till covered terrain that is prevalent throughout this region, masking deposits such as Sisson. The exploration portfolio, all in New Brunswick, is an important element of Geodex's full value. Geodex has acquired by staking the Jake Lee project covering approximately 3800 hectares located 80km south of Fredericton. Geodex will conduct an exploration program focused on the rare earth elements ("REE") potential with a secondary focus on gold and base metals based on the geology and supported by regional government sampling and assessment report data. The Jake Lee project is underlain by the Jake Lee Mountain Granite, a northeast trending intrusive complex. The intrusion is documented as exhibiting a lithological zonation and peralkaline chemistry similar to that of the Welsford Granite (a complex of syenite, granite and gabbro) which occurs approximately 25 km northeast of the Jake Lee Granite and hosts the McKeel Lake REE occurrence. Government data has defined magnetic and spectrometric thorium and potassium anomalies within the Jake Lee claim group. Assessment reports document soil samples and stream sediment samples anomalous in lanthanum (respectively up to 1210 ppm and 780 ppm), as well as phosphorous and molybdenum. These very anomalous levels are indicative of the REE potential, as only lanthanum of the REE suite was included in the analyses during previous exploration. In addition to the REE potential there have been very elevated gold values, including gold bearing float rock samples, reported from the area covered by the new claims. Multiple stream sediment and soil samples were reported in excess of 100 ppb gold including 3580 and 5280 ppb gold, although the results have been generally been erratic. There have also been anomalous base metal values associated with structural zones. Geodex will conduct an initial exploration program analyzing for REE as well as other metals. The prospective geology and structures provide encouragement that Geodex will be able to rapidly evaluate the potential of this new project. Over the past seven years in New Brunswick, Geodex has successfully applied exploration methods to advance projects such as Jake Lee from an initial evaluation process to first pass drilling, often during the first year of exploration. Geodex will provide details of the 2011 exploration program and timing for its New Brunswick projects when it is finalized. David Martin, B.Sc., P.Geo., CGA, Geodex's Vice President, New Brunswick, is a qualified person under NI 43-101 and is responsible for the design and conduct of the programs carried out by the Company on the Jake Lee Project. Mr. Martin has reviewed this release and approved its contents. Read the full news release here. Photo from Geodex Minerals.